Christmas is one of India’s most beloved festivals. No matter which religion you follow, celebrating Christmas is something everyone looks forward to. However, a great way to add a little flair to your celebrations would be to visit the place that truly knows how to celebrate this festival with utmost zeal. There are numerous things to do in Goa during Christmas. Goa turns into a paradise for foodies during Christmas. From delightful Goan seafood to the special Christmas sweets, every kind of food item is mouthwatering and a must try. This goes without saying, the best way to enjoy any festival is to trying out foods that are cooked specially during that occasion. Being a coastal state, the area along the coastline doesn’t get that cold during winter. The weather in Goa is quite pleasant during this season, and is perfect to go take a dip while at the beach. 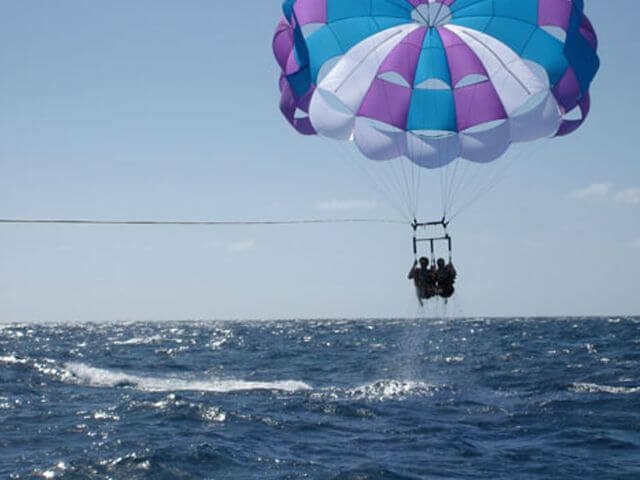 Not to mention the countless adrenaline-pumping water sports in Goa that must indulge in. Goa is a state rich with culture dating back to Portuguese rule. The picture-perfect churches of Goa stand testimony to the history and culture of Goa. The aesthetic appeal of these churches boosts even more when they are adorned with lights and candles during Christmas. 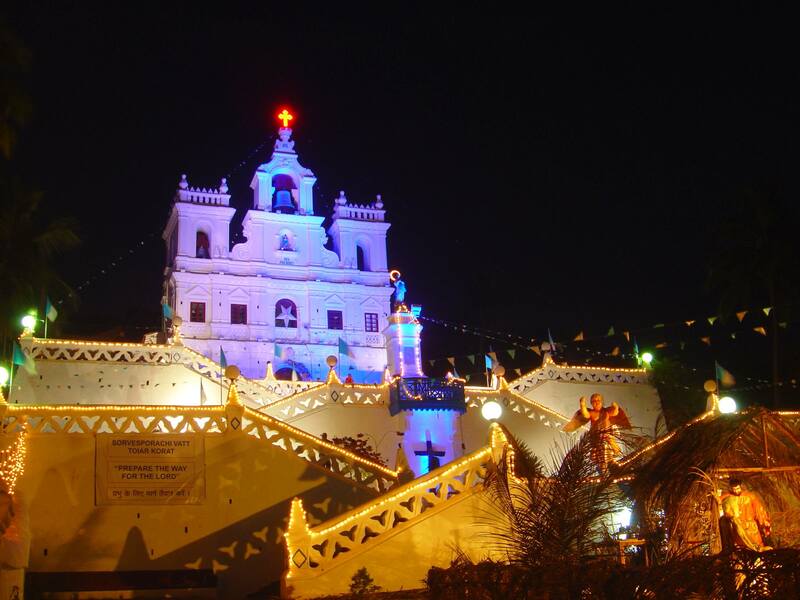 If you happen to be in Goa during Christmas, do make it a point to check out the top churches. 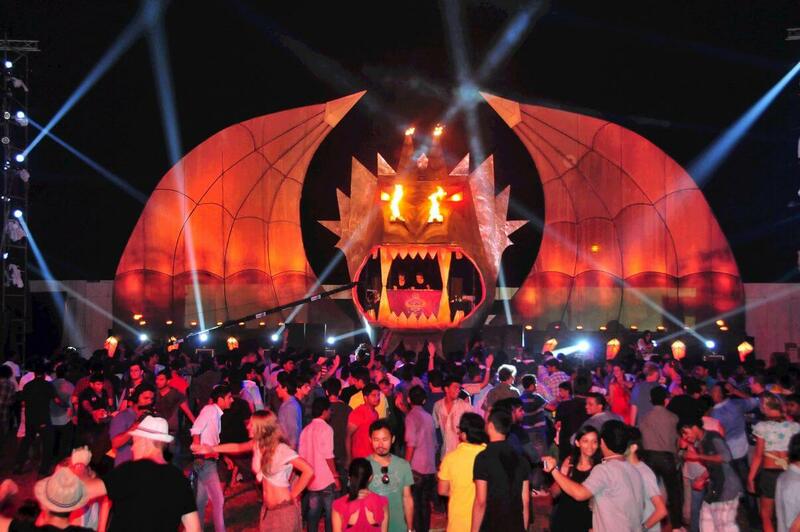 Whether you want to attend a Christmas ball or a crazy party that goes on until the sun comes up, Goa has it all. The weather is great, the festive spirit is in the air, and the people in Goa make for a great company. It’s an ideal recipe for a perfect Christmas party. When in Goa, party like there is no tomorrow! 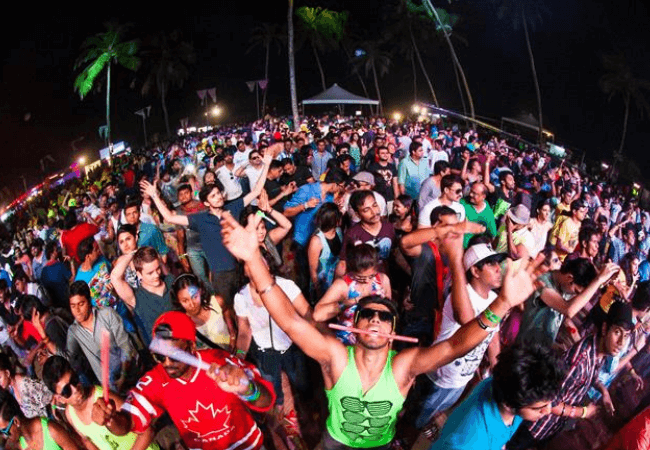 Goa has, for a while, been the home to many music concerts that go on for a couple of days. So if you happen to be in the state at this time of the year and love music, make the most of the Christmas parties and music concerts. Goa Tourism offers the best for a complete holiday. If you know of any fun activity that you would like to carry out during your Goa Holiday, let us know in the comments below, and from the other end of the screen, Merry Christmas! If you are planning to visit Goa in December during Christmas season, here is a list of things to do in Goa.